I never imagined I’d have an ancestor that there is just too much information available. Amazingly, I have more information about Chester Parsons and his life than I can keep up with. Ancestry, suggests there are 85 Ancestry Hints and 13 other public Ancestry Member Trees relating to Chester Parsons. 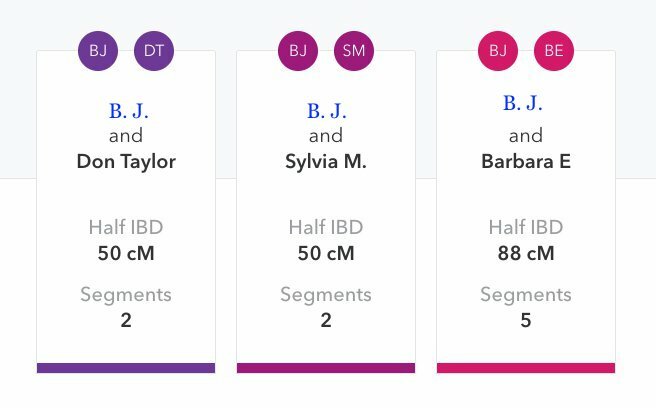 Admittedly, five of those Ancestry Hints are from me because of one of those old trees, but still 80 Hints is more than I recall seeing elsewhere. I went through all of them, several weren’t clearly my Chester Parsons (1799-1887) and appeared to have been other Chesters. But still, there were a couple items I hadn’t seen before including a photo of Chester. I have several sources of information that I didn’t add to my tree because they didn’t add any new detail, instead confirmed information that I already had. But still, I ended up using 21 sources for information about Chester’s life. Chester Parsons was born on 1 December 1799, the fifth child of John Parsons, Jr. and Mary Wolcott, in Sandisfield, Berkshire County, Massachusetts. 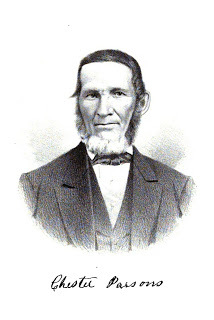 Sometime shortly after his birth and before 1802, the family moved from Massachusetts to Windham, Greene County, New York. In April 1813, Chester’s father, John, died. It appears that older brothers Samuel and Orrin established their own households by the 1820 Census. I have not been successful determining where Chester, his sister Polly, his brother John or his mother, Mary, were during the 1820 Census. I suspect they were living with another family member whose surname was not Parsons. Chester married Deborah Buel Maben on 26 November 1824 in Greene County, New York. In May 1826, Chester and his brother, Orrin headed west to Michigan Territory. The two of them purchased 160 acres of land in Saline Township on 1 November 1826. They built the first mill in the area as well as the first frame house. The 1830 Census found Chester as the head of the household consisting of two males and three females. On 1 August 1831, Chester purchased 78.24 acres of land, and in 1837 he bought another 80 acres. The 1840 Census found Chester’s household consisting of four males and six females. There is one male, age 50 to 60 and one female age 20 to 30 that are unknown and do not appear to be Chester’s children. 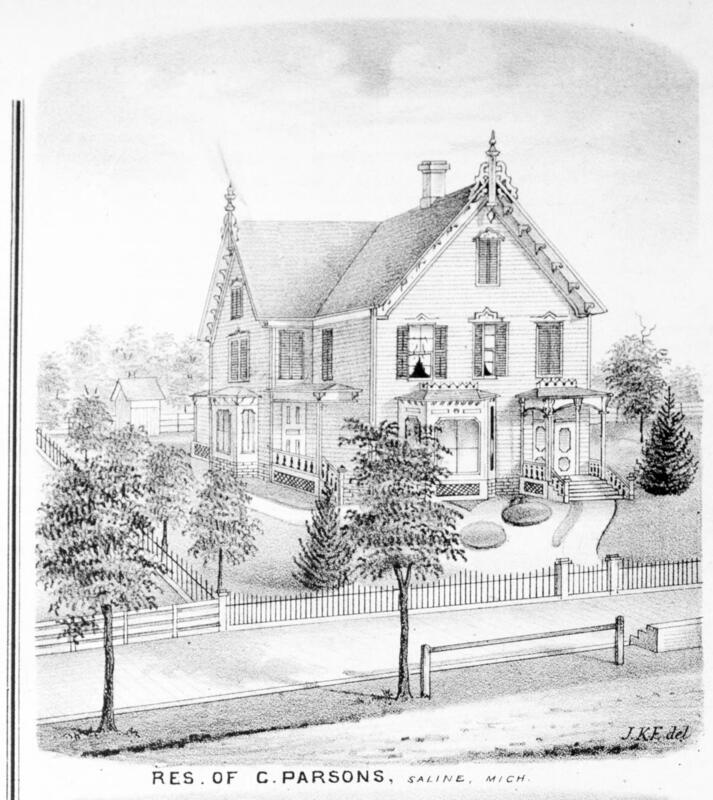 The 1850 Census finds the Chester Parsons household consisting of Chester, his wife, five of his daughters, one son, and four unrelated farm hands, although Zebe Fuller would marry his daughter Harriet. Chester’s real property was valued at $7,800. The 1860 Census finds a prosperous Chester Parsons living with his wife and two daughters. Also living in the household are two young females, ages 19 and 22 who are domestics as well as three farm laborers. Chester’s real property was valued at $12,500. The 1870 Census finds Chester and his wife, Deborah, living alone. His real estate is valued at $21,000 and his personal property at $5,000. Deborah died in 1874 at the age of 69. They had been married for nearly 50 years. Chester remarried on 11 November 1875 to the Widow Wakefield. Chester’s second wife, Jennette Arnold Wakefield, was 24 years younger than Chester. The 1880 Census finds Chester and Jennett living together in Saline, Chester was 80 and Jennett was 56 and keeping house. Chester died on 7 June 1887. He was buried at Benton Cemetery, in Plot 30 next to his first wife. Because Chester was an early pioneer in Saline Township he is often mentioned in various historical books, such as The History of Washtenaw County, and newspaper articles long after his death. According to them Orrin and Chester built the first sawmill in town in 1827, two miles south of the village. There is another story where Chester and Orrin were concerned that someone else might purchase the land they wanted, so they walked by an old Indian trail through the night to Monroe to acquire the property. Chester became the postmaster for Benton in 1835 and cut a road from Saline to Tecumseh road. He kept a hotel before the railroad was completed to Ann Arbor. I’ve found a photo of Chester, a birth record, a death record, two marriage records, presumably him in the 1800 Census and through all the Census records in his adult life, 1830 through 1880. 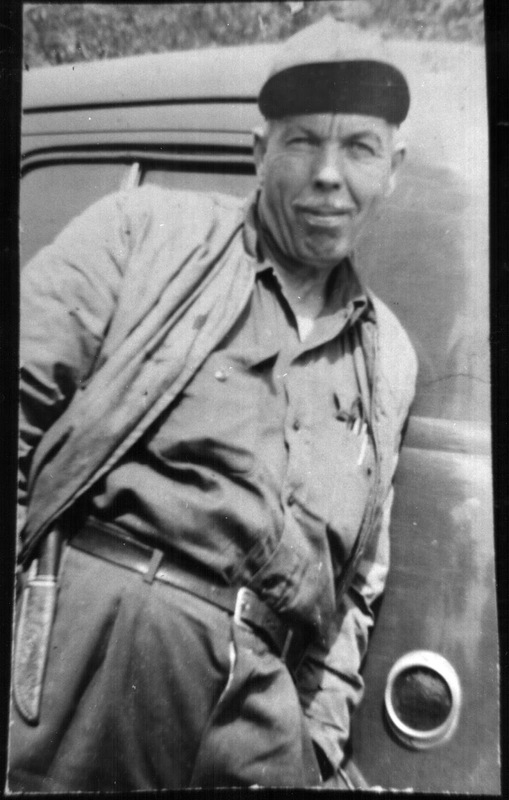 I’ve found photos of his home, Bureau of Land Management records of his land purchases, his probate records, and maps showing his property during various years. Finally, stories about his life and activities abound. His was a life well lived and I am proud to be descended from him. The History of Washtenaw County, page 1406, indicates that Chester’s wife Deborah wrote a history of their move from New York to Michigan what recounted the “hardships and privations of their early pioneer life.” Apparently, she did not complete it, but I would love to find a copy of whatever might have survived from that writing. I have so many sources for Chester Parsons, I’ve decided to abbreviate the sources so that the sources aren’t longer than the article. Additional detail is available; however, the information provided should be sufficient to find the record. 1800 Census – John Parsons Jr. – Sandisfield, Berkshire, Massachusetts (3rd from bottom). Chas. C. Chapman & Co. (2012). History of Washtenaw County, Michigan: Together with sketches of its cities, villages and townships, educational, religious, civil, military, and political history; portraits of prominent persons, and biographies of representative citizens: history of Michigan: embracing accounts of the pre-historic races, aborigines, French, English and American conquests, and a general review of its civil, political and military history – Pages 1370, 1371, 1373, & 1405. Massachusetts, Town and Vital Records, 1620 – Ancestry.com Operations, Inc., 2011 – Parsons. 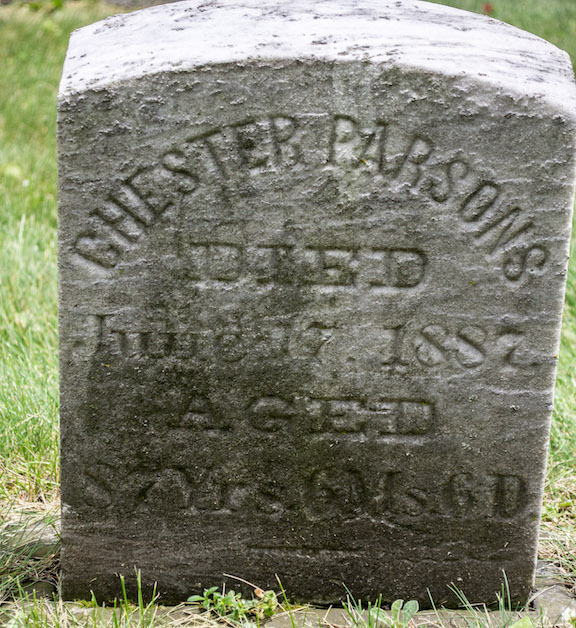 Michigan, Death Records, 1867-1950 Ancestry.com – Chester Parsons – Died: 7 Jun 1887. Michigan, Marriage Records, 1867-1952, Ancestry.Com. – Chester Parsons – Jennett Wakefield. 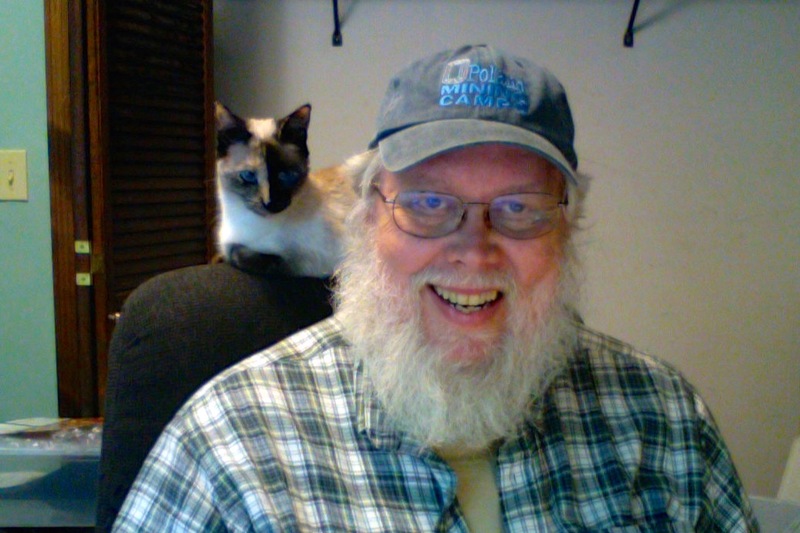 In a recent “Saturday Night Genealogy Fun,” Randy Seaver suggested we look at our surname list. My Roberts-Brown tree has 6,084 individuals. I manage the tree using Family Tree Maker 2017. A Surname Report is available under person reports. Two clicks and the report is done is less than a second. The first click was to include all individuals in my file, not just the immediate family. The second click was to sort by surname count. It doesn’t provide a total of the number of unique surnames. But, again a couple clicks do it easily. A click on Share then select export to CSV. The system asks where you want the report, you save it, then the system asks if you would like to open the Exported Report. I did and my computer launched Microsoft Excel. Entries are every other line. The last surname on the list was line 2801. Subtract 3 for the three lines of header and divide 2798 by two and I learned I have 1,399 unique surnames in my tree. I was surprised by the some of the results. Raidt is the surname of my son’s maternal grandfather. I have done quite a bit of research on him, but I didn’t realize it was that extensive. For my Raidt research to be number 3 was quite a shock. I should, probably, break this research into a separate project. Even more shocking was the Krafve surname. Hildur Krafve was my step-grandmother and is the grandmother of two of my siblings. 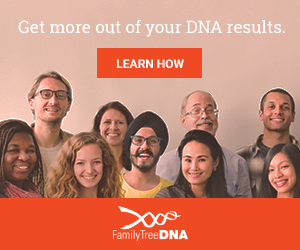 I didn’t think I researched that family much and was surprised that I have done so much research on that line. I have followed that family name through six generations. With all the children, grandchildren, great-grandchildren, and so on, there were many names. That it rated high makes sense, but I was still surprised. I was also surprised by Wolcott. My 5th great-grandmother was Mary Wolcott Parsons. I have tentatively followed her ancestry back seven more generations to my earliest known ancestor, back in the 1500s. But still, I had no idea that I had that many known Wolcotts. Before I knew who my biological father was, I did a lot of research on the Roberts surname. 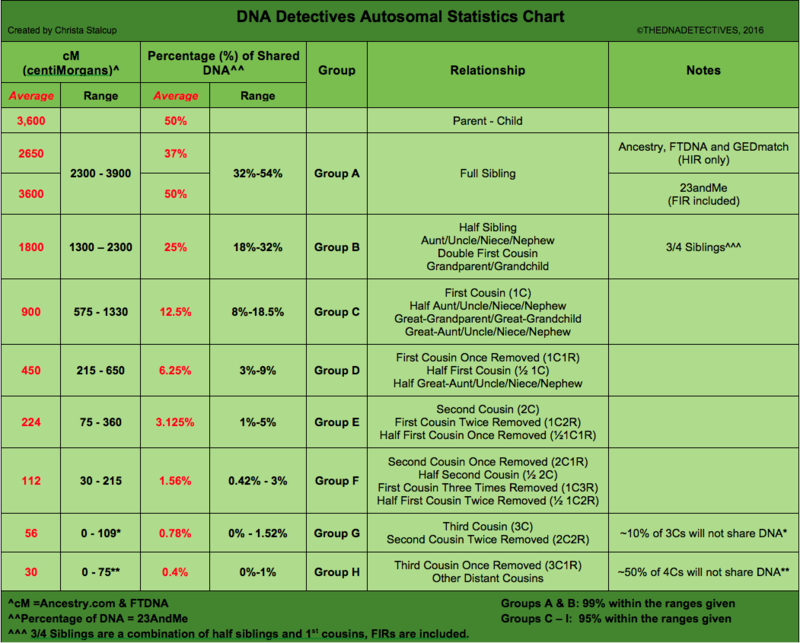 I was looking for and following potential connections based upon Y-DNA results and other people’s trees. Most of these Roberts entries are not related to me in any meaningful way. That I have over 200 individuals with the Roberts surname didn’t surprise me. My number one surname was Mannin and that my number 10 surname was Manning didn’t surprise me much. Mary Elizabeth Manning was my great-grandmother and I have done a lot of research in her ancestry. Her husband was Arthur Durrwood Brown. Seeing Brown, and the related surnames if Bryant and Warner, wasn’t much of a surprise either. Sadly, my number 9 surname, “Unknown,” highlights mistakes in my tree. For a while I used “unknown” when I didn’t know an ancestor’s surname. For married women, whose maiden name don’t know, I’ve begun using their husband’s surname in brackets instead of “LNU” or “unknown.” That gives me a better idea of where they fit in the tree without needing to see all the other details of the individual. That I have 75 individuals for whom I’ve entered their surname as “unknown” suggests that I need to so some cleanup. Certainly, “unknown” could be the appropriate entry on occasion, but rarely is it the best entry. As an example, “Ann Laurie Unknown” doesn’t tell me as much as “Ann Laurie [Fannin].” As long as I remain consistent, I think I’m okay using bracketed names in an unconventional manner. I enjoy Randy Seaver’s Saturday Night suggestions. They make you think about your family tree in different ways. In this case, looking at the surnames in this exercise reminded me that I need to be consistent in how I handle unknown surnames.